We have a very large document library with more than 100,000 documents which is causing search crawl and latency issues. So, decided to archive old documents into separate document libraries year-wise. Stop: Before proceeding with any of the below method, Save your source list or library as a template without including content and create new list from the list template, So that your source and destination libraries will look a like! 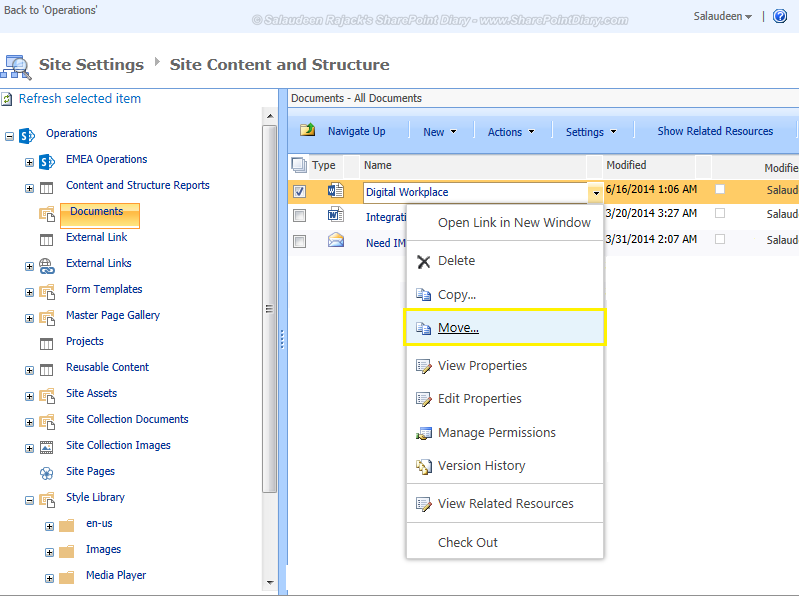 All SharePoint versions including MOSS 2007, SharePoint 2010 and SharePoint 2013 supports this functionality. Select the target list or library and click "OK" to complete move operation. This sends files with version history and metadata to the target list. Lets use PowerShell script to move files between lists: The idea is to create sub-folder for each Month and move documents into sub-folders based on their creation date. # Try to Get the Sub-Folder in the Library! #If the folder doesn't exists, Create! While the Move operation preserves Metadata and version history, Copy doesn't! Also the Explore View Drag & Drop from Source Library to the Destination also preserves versions. Go to your target library, Right click and choose "Paste"
Tips: SharePoint general rule of thumb for better performance on large list and libraries: Have < 2000 files per container (list/library/folder). How about moving libraries between site collections? What I need to do is move folders and their contents from one library to another within the same site collection, maintaining as much metadata as possible. Will this do that? 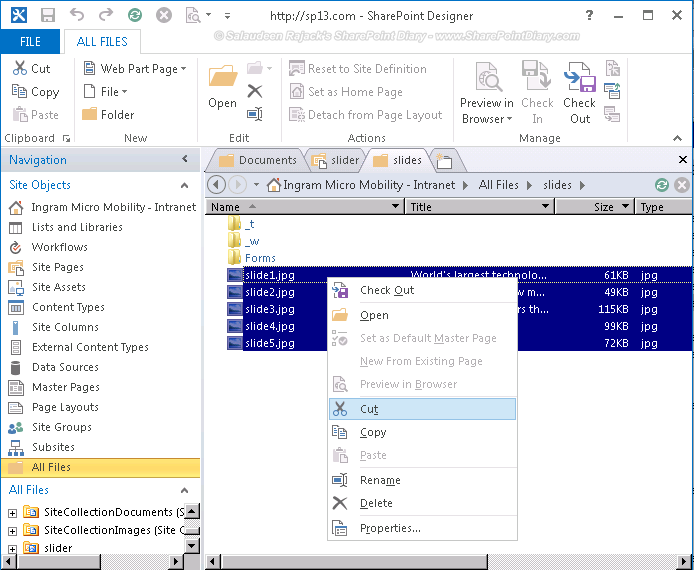 Do you have a copy of this for SharePoint Online using PNP Powershell?